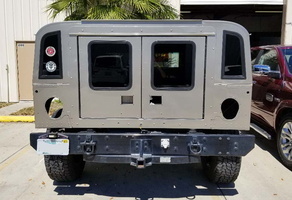 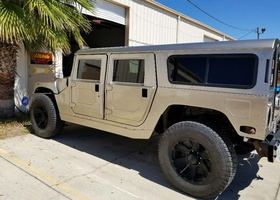 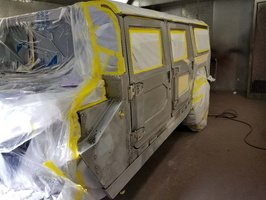 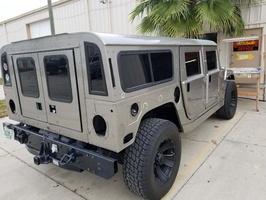 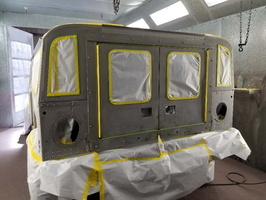 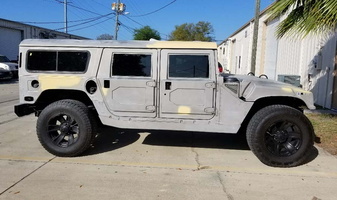 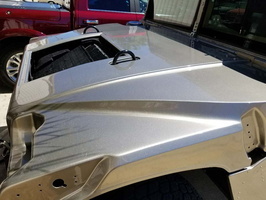 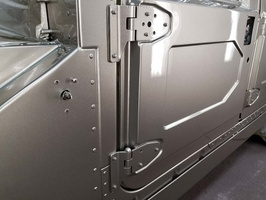 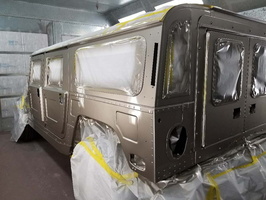 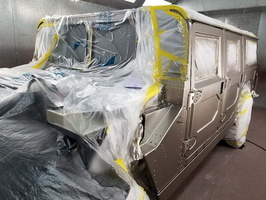 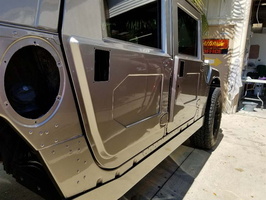 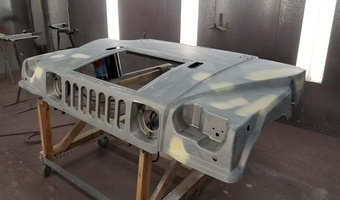 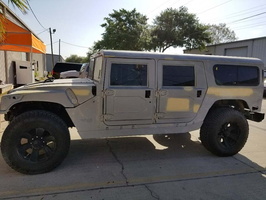 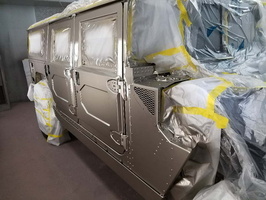 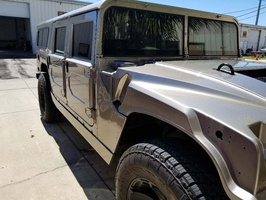 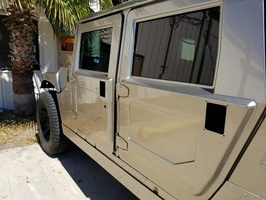 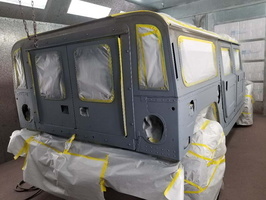 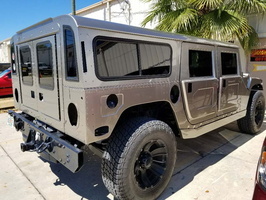 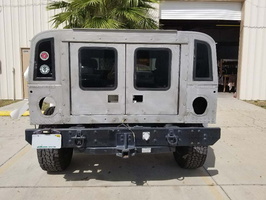 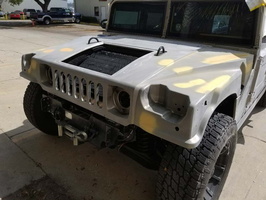 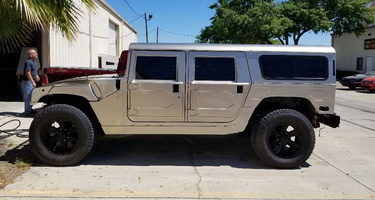 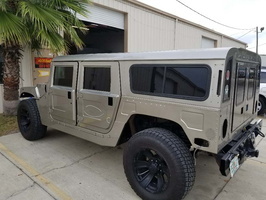 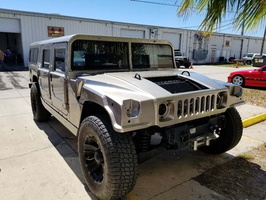 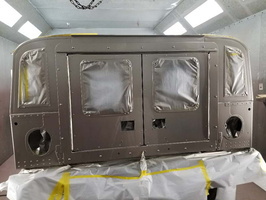 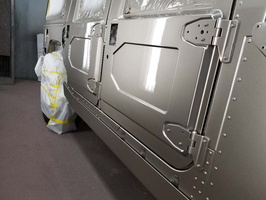 We did bodywork on various places and repainted this hummer in the stock Metallic Pewter color. 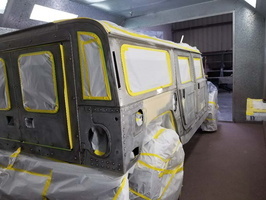 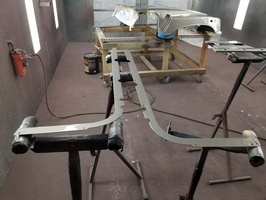 We removed the front end and painted it separately as well as some trim and other small pieces. 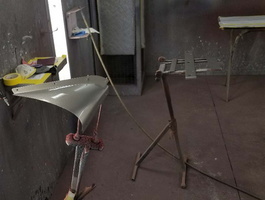 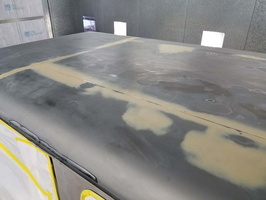 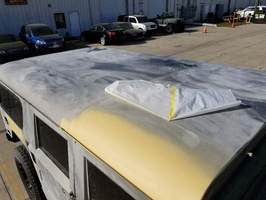 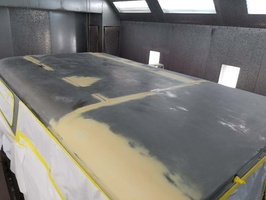 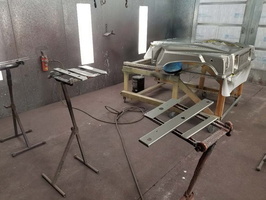 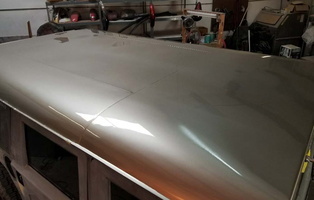 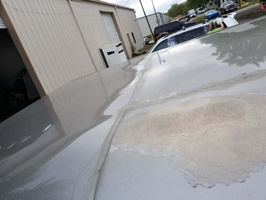 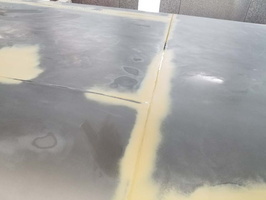 We also painted the roof separate from the body. 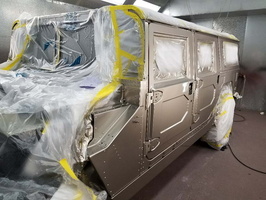 BIG job to do but we think it came out looking great!